Mr. Yung Kao is a California Certified Access Specialist (CASp) and a member of the Certified Access Specialist Institute (CASI). He is an ADA and California access-compliance consultant. His typical services include CASp Inspection for existing facilities, plan review or construction inspection for new developments, and expert witness in accessibility litigations. Yung received his Masters Degrees in Architecture and in Urban Planning from U. C. Berkeley. Yung brings tremendous knowledge and experience to the field of accessibility compliance from his multi-track career as a design professional and a code administrator. He is an NCARB licensed architect, registered with the States of California, Nevada and Hawaii. He is also a CABO Certified Building Official. He was the Chief Building Official for the City of Monterey Park for 20 years. Prior to joining the city, Yung had six years architectural practice in Santa Monica and Los Angeles, and was involved in such projects as the Santa Monica Bank office building, Universal Studio Hilton and Tower, renovation of shopping centers, and tenant improvement for restaurants and banks. A building code expert, Yung is author of numerous code changes adopted by the Uniform Building Code and the International Building Code. He served on ICBO’s Special Inspection Certification Committee, which oversaw ICBO’s Special Inspection certification exams nationwide. He was a member of the California 2000 Code Partnership Committee. He has been active with the ICC L.A. Basin Chapter code committees, and has chaired the Fire Safety committee, Use & Occupancy committee and several subcommittees in the L.A. Regional Uniform Code Program (LARUCP) which was set up to promote uniformity in code interpretation and code amendment for a consortium of 89 cities in the Los Angeles region. Yung was recognized in 2001 by the L.A. City Quality and Productivity Commission for his contribution to furthering the goals of LARUCP. Combining the backgrounds of a design professional and a code administrator, Yung is able to look at existing access barriers with an eye on various scenarios of remediation. From this solution-oriented perspective he provides building owners and business operators a unique CASp Inspection service that offers insightful analyses of existing nonconformities and realistic remediation recommendations. Additionally, we have done some presentations with Mr Kao. 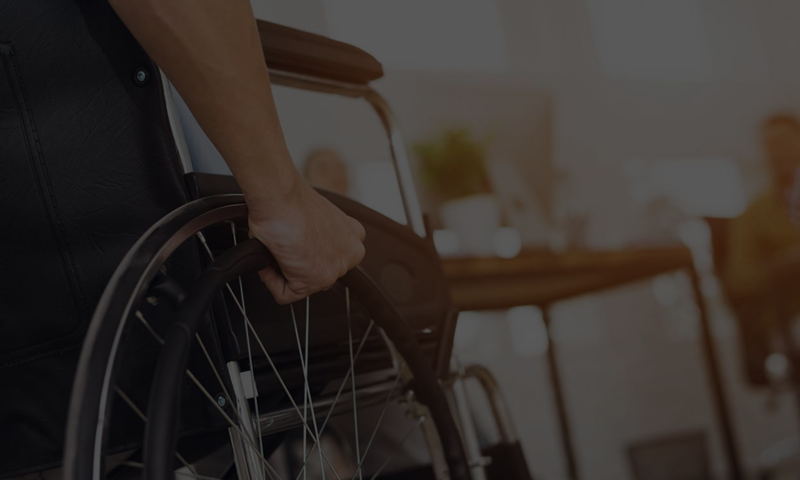 He is quite knowledgeable as to how businesses and building departments should approach CASp, and the ADA. For more information about CASp please see our ADA FAQ or the ADA links to more information.